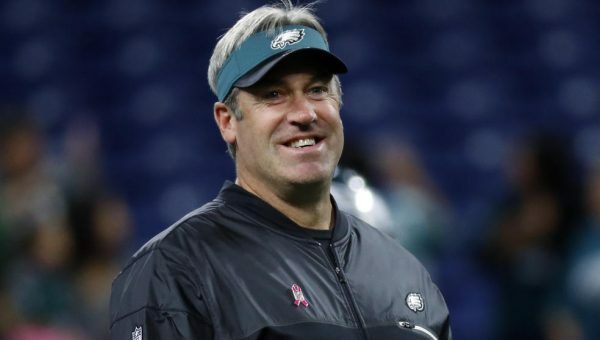 Eagles head coach Doug Pederson said Friday that Eagles starters will play Week 17 against the Cowboys, but “at the same time be smart with how much they play.” according to Jimmy Kempski of Philly Voice. “The idea is to just keep the starters going,” Pederson explained. “I don’t want to not play them, and then it’s three weeks later and you’re playing a game. I think that would be foolish on my part, so I want to make sure that they stay in the moment, but at the same time be smart with how much they play, how long they play, and go from there.” The Eagles have secured home field advantage throughout the playoffs and have little incentive to risk their best players. The most likely scenario is for Nick Foles and company is to play the first half and then cede their spots to backups for the remainder of the game.